More than 15,000 vehicles are stranded in the French Alps due to snow and ice, snarling the holiday traffic to and from ski resorts, French media report. France declared an orange weather alert, its second-highest, as local authorities scrambled to put up motorists for the night. The French government asked drivers to “exercise the utmost caution” and avoid travel if possible. Three people died in other snow-related incidents across France earlier this week, according to Le Monde. Snowy conditions in the French Alps are expected to persist on December 28, followed by freezing weather next week when Paris should see its first frosts in more than a year, French weather forecasters say. Local gyms and community halls were opened up as shelters in the Savoy region on December 27. Motorists seeking accommodation “stormed” the Chambery exhibition centre, according to a live page on the website of Le Dauphine Libere newspaper. 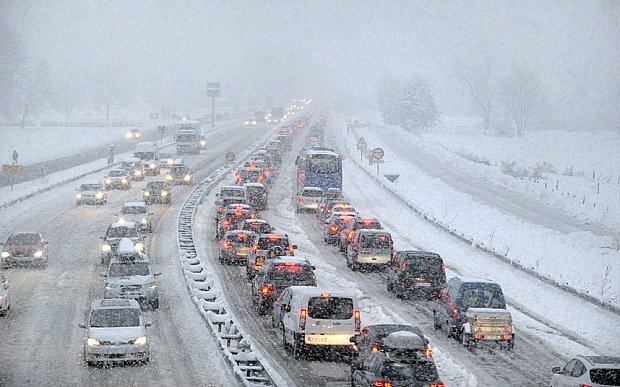 Heavy snow caused disruption to roads in Germany too, causing a 16-mile traffic jam on the A8 motorway near Stuttgart.